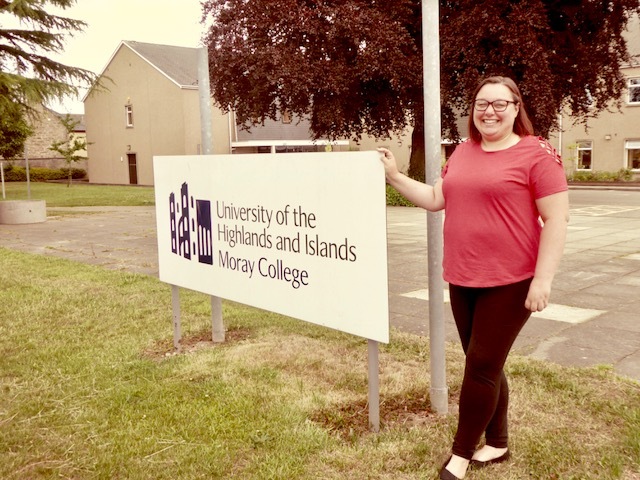 Moray learner, Lorna, will join Moray College UHI Events Management Degree course in September. Lorna has been working diligently over the past couple of months on her college application, brushing up on her study skills and gaining an Adult Achievement Award in the process at SCQF Level 6. Lorna has been meeting with Moray Learning Coordinator, Barbara, each week at the Moray College Campus to familiarise herself with the College environment and routines before officially starting in Autumn.